At the start of the month, the research team at Bullitt brought together a group of 25 students from the University of Reading to take part in the third annual Bullitt Design Challenge. The students were tasked with creating a new unique proposition for the next generation of our Cat® devices in their teams. This could be a new piece of hardware (like a sensor or attachment), a new app or integrated software solution, some additional innovative materials, or a combination of two or more of these parts. The challenge took place over two days, during which the teams had to create, illustrate, and then pitch their ideas. 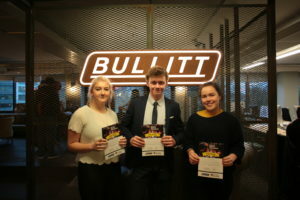 The student’s presentations were first given in a rapid three-minute format, after which they received feedback for the final challenge – a pitch in front of four senior members of Bullitt Group’s management team. The winners sought to solve a challenge which affects all phone users, but something which is also our users’ number one concern – battery life. The team sought to integrate a series of kinetic charging devices, which would trickle-charge the device with even the smallest of movements, greatly improving the longevity of the device’s battery. The project was well researched, having found an actual device in development, and working out how it could fit into the Cat® S31. 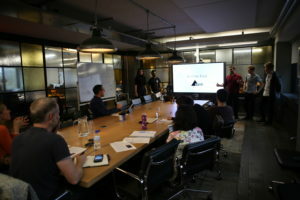 The team had a slick presentation, an idea that addressed a very real problem, and looked carefully at where it would sit in the overall Cat portfolio. The prize for the winning team included a Cat S31. Encouraging the students to work as team, thoroughly research and then present their ideas to us in a short time frame helps develop a wide variety of skills, and is a great addition to their CVs. The teams also gave great feedback for the event, saying it helped them with their confidence, teamwork and presentation skills. In return for their participation and great ideas, we provided the students with pizza, sandwiches, and cookies, and some excellent prizes for first, second, and third place. Given that a major market for Cat phones is the construction industry, one team came up with a projector that would sit at the top of the phone and allow for a quick reference to design plans and blueprints. This targeted a real need, as customers in this market are unable to utilise larger devices which require a power source, and are not well suited to rugged environments. Focusing on our customers who need a robust phone for their leisure activities, another team came up with a joint software and hardware solution for climbers. A carabiner loop was integrated into the bottom corner of the phone to allow it to be easily attached to a belt, while in-built software assisted teams in keeping track of each other’s movements, or providing solo explorers with emergency check-in and response capabilities. Another idea utilised the accelerometer in the phone to set up an alert for users, particularly the visually impaired, in the event of dropping their phone in a difficult to locate area. It also allowed users to activate the GPS on the phone to find the device remotely. Given that many of the teams were studying Biomedical Engineering, several of the ideas focused on medical applications. One team came up with an integrated sensor to measure the air quality, as well as to detect asbestos in the walls of a building. Another excellent idea positioned the Cat S31 towards the medical sector, integrating a digital thermometer, and allowing for additional peripheral attachments such as an ECG and ultrasound scanner. 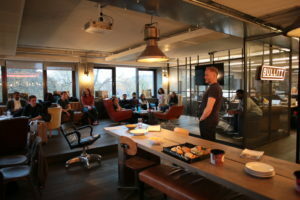 It was hard not to be impressed with how the teams grew in confidence over the two days, and were able to present assertively to our senior management team. They responded well when challenged on their ideas, and everybody in the team had a part to play and contributed during the presentations. 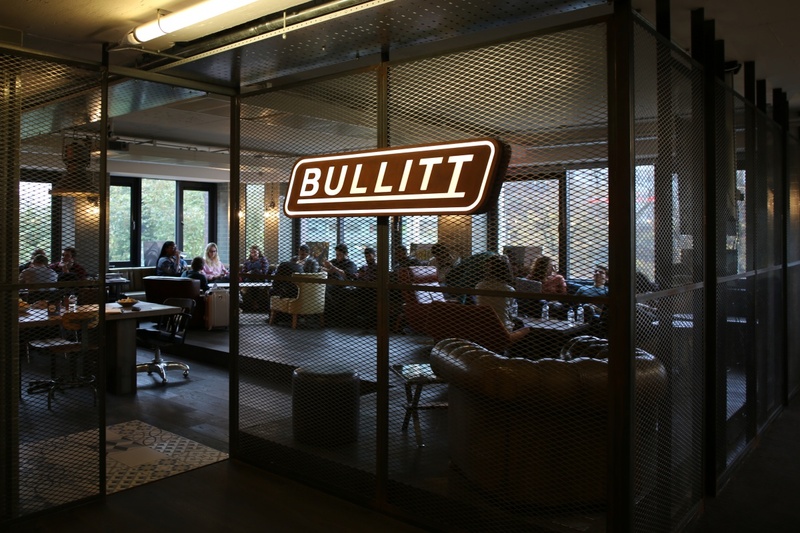 The challenge is also a great example of how Bullitt works closely with local communities, and helps improve the employability of students, and we continue to be extremely proud of it.